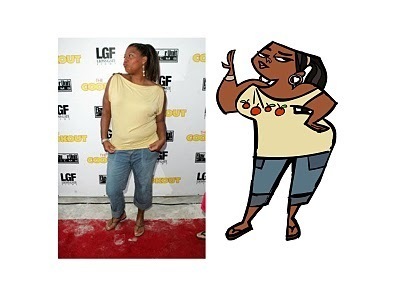 Queen Latifa as LeShawna!?!?!. OMG THIS IS SOOO WEIRD. Wallpaper and background images in the A tutto reality - L'isola club tagged: total drama island tdi total drama island leshawna. yes that would be so cool! thats what we where thinking too.. ...THEY ARE SO THE SAME!!!! When my mom first saw LeShawna, she said "Is that supposed to be Queen Latifah?" That makes this even weirder!